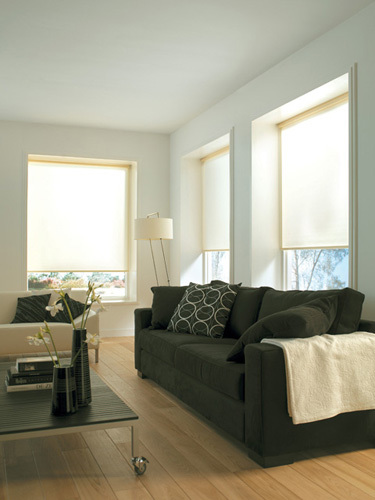 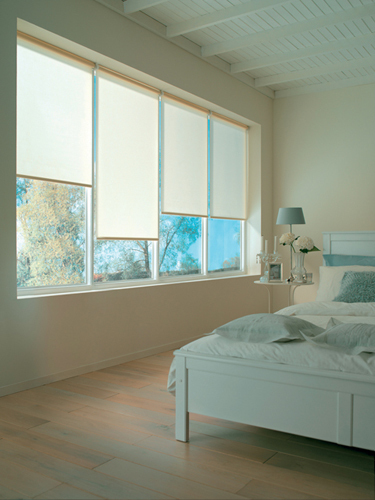 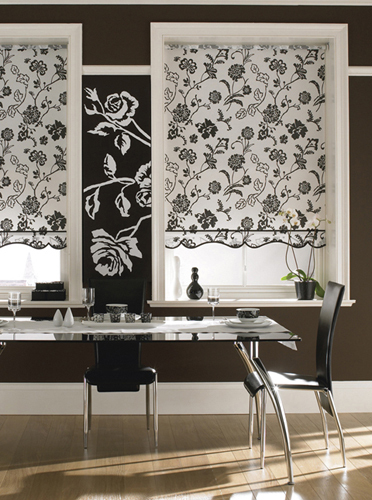 Roller blinds are a simple, functional and stylish window dressing for many applications. 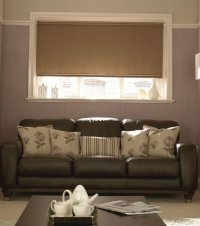 They can be fitted to compliment existing curtains or look stunning on their own and because they fit close to the window they are perfect where window recess depths are narrow. They can be operated using a spring loaded or chain mechanism. 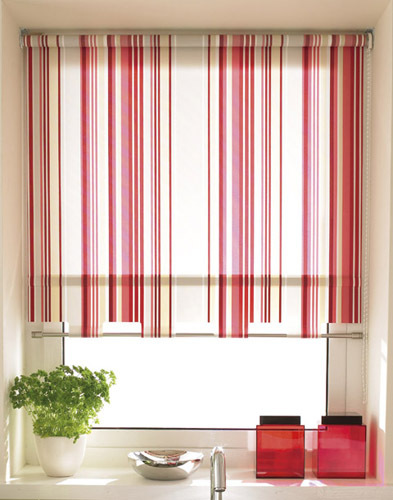 We can offer plastic or metallic chains. 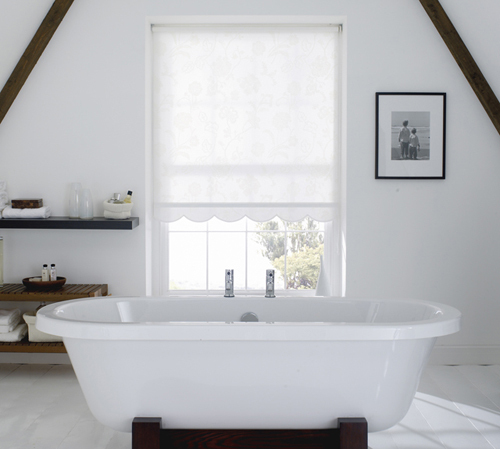 We can offer a large range of made-to-measure roller blinds in a large range of traditional and contemporary fabrics. Included in our ranges are floral patterns, stripes and geometric designs as well as plain, textured and self-patterned designs. 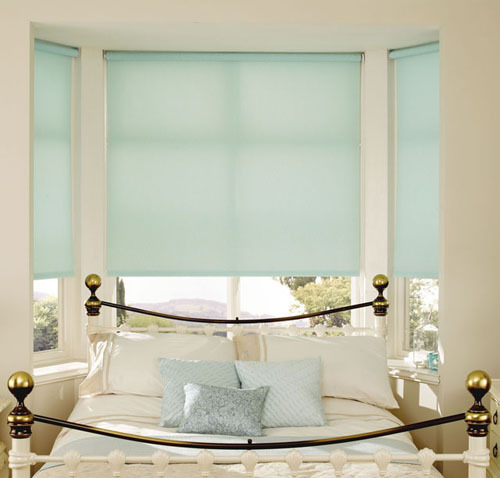 We can offer a rainbow of colours from subtle pastels to bold and vibrant tones and for a more neutral look we have a fantastic selection of whites and creams. We can offer practical choices in our range including blackout fabrics, to cut down on light, and coated fabrics for bathrooms and kitchens, as well as flame retardant properties and reflective coatings. 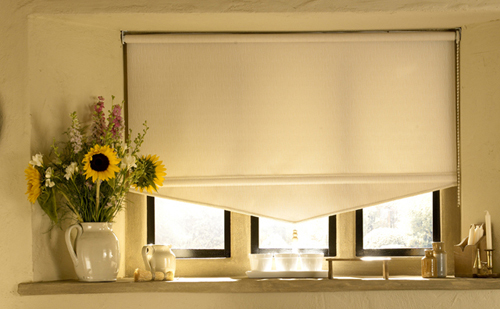 For a truly individual look we offer a choice of stylish shapes for the bottom of your blind which can be finished with a co-ordinating or contrasting braid. 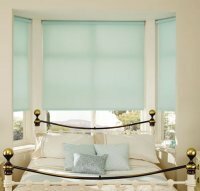 Choose from a range of shapes including scallops and zigzags or poles in a variety of finishes or we can add eyelets to a straight blind for a very modern look. For that finishing touch we have a range of pulls in wood or metallic finishes.